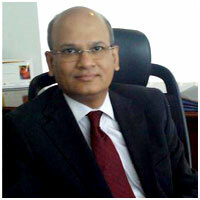 Ram joined the ESSAR Group in April 2010 and is currently Group President and Chief Information Officer. With revenues of USD 20 billion the Essar Group is a multinational conglomerate and a leading player in the sectors of Steel, Oil & Gas, Power, Communications, Shipping Ports & Logistics, Construction and Minerals. It has operations in more than 25 countries across five continents and employs 70,000 people. Ram co-founded & is a Director on the Board of Rural Shores Business Services Private Ltd (www.RuralShores.com), an organization that was promoted in Feb 2008 with 5 others to facilitate the setting up of BPOs in villages pan-India. He is also a Member of the Board of Custommerce (www.Custommerce.org), a movement to promote Customer Interaction Management as a means for the Indian corporate to become more customer-centric and propel India into a Customer Driven Economy. Ram is an Electronics Engineer from the Indian Institute of Technology Madras and an alumnus of the Indian Institute of Management Ahmedabad. He started his career as a graduate trainee at Tata Steel in Jamshedpur and moved to Bank of America as its first IT employee in Mumbai in 1982.